Since my girls were both born in May we like to do their birthday party together. This year, L turned 7 and wanted a ballerina party while Resa turned 3 and wanted a Minnie Mouse theme. It was super simple to marry the two, while still keeping them distinct to make sure each girl got what she wanted. Kept things pretty basic. Pink, polka dots, and black were really the unifying agents with little touches of ballerina or Minnie in other places. 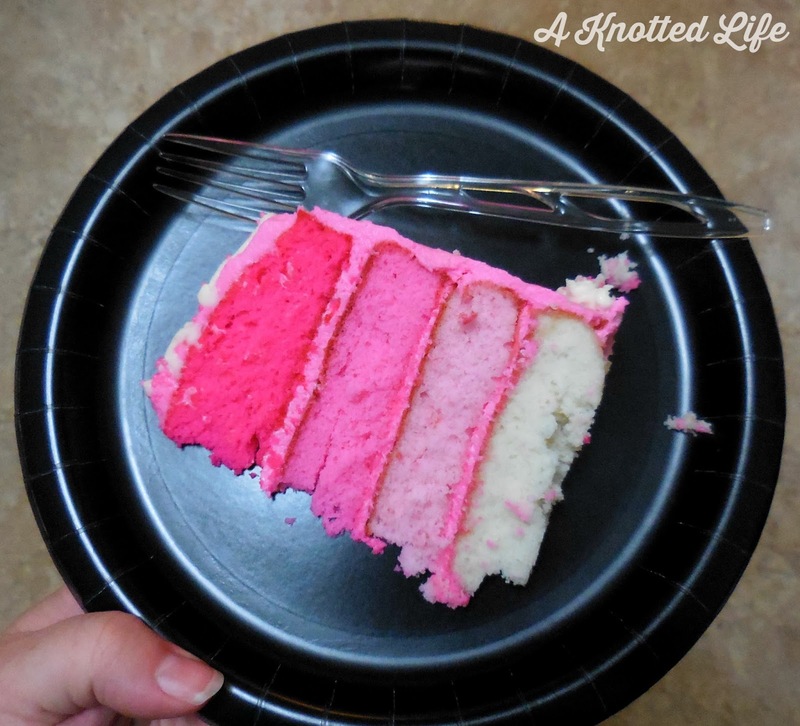 You can see my inspiration board on Pinterest, and I'll give the rest of the details as we go! I always work with my friend Katie to make the invitations and each year a picture of the kids is included on the front. This one used black cardstock + pink scrapbook paper with white polka dots + white cardstock for the details + a tutu-like ribbon that was sewn onto the bottom. 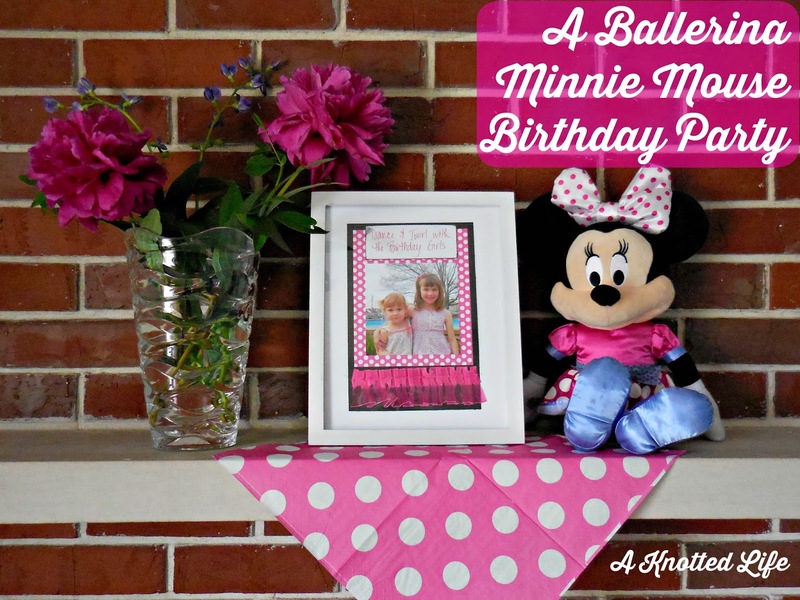 The white polka dots and pink is reminiscent of Minnie Mouse's bow and the tutu ribbon, of course, was for the ballerina theme. Our guests were greeted with a little chalkboard sign that reads Come inside it's FUN inside - just like the Mickey Mouse clubhouse. Pretty simple decorations. 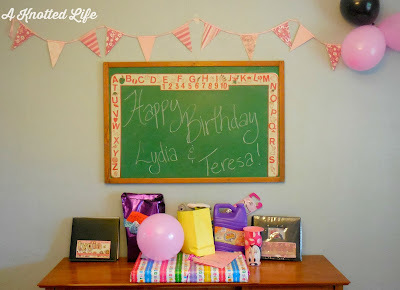 We reused the pink paper bunting from parties past and hung pink and black balloons. I always use plastic tablecloths. I can cut them to any size, and they always help to make things more festive. Paper straws are another favorite - so cute and the kids love them. L and Resa both dressed in tutus and their friends were encouraged to do the same. 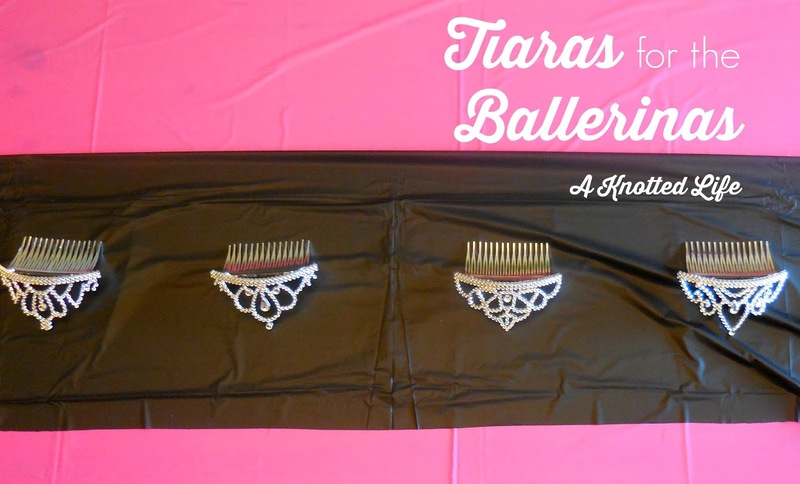 Each ballerina was then able to chose a tiara to wear. My fabulous sister in law made the cakes again, as she has for the past few parties. 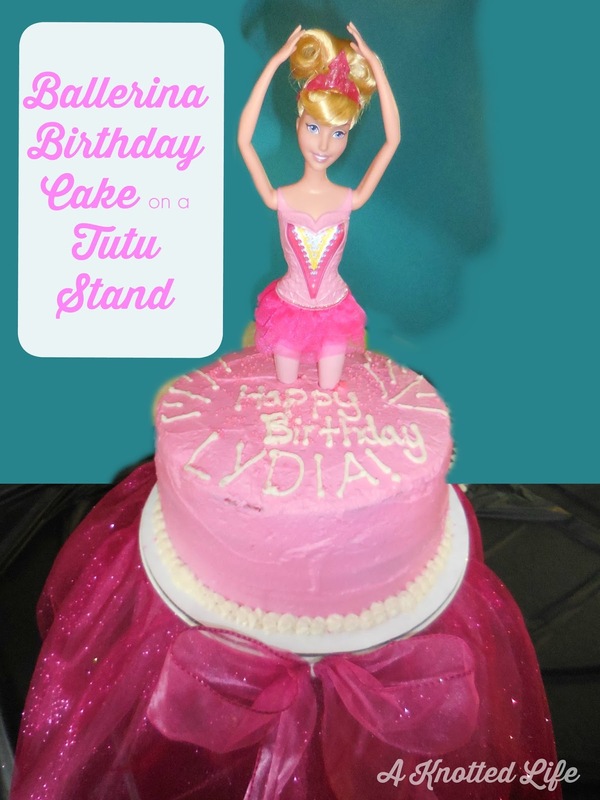 L's ballerina cake was a pretty pink one, standing on a tutu-ed cake stand. Inside, the cake was ombre - a thrill for the girls. 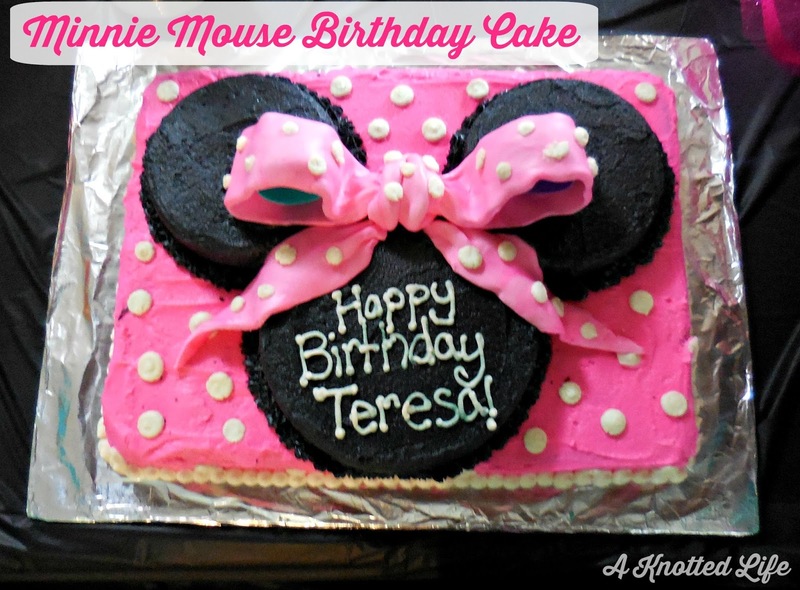 Resa's cake was a Pinterest-inspired Minnie Mouse sheet cake. The bow is made from fondant and my sil had to sneak little balls inside for it to keep its shape. We loved it. 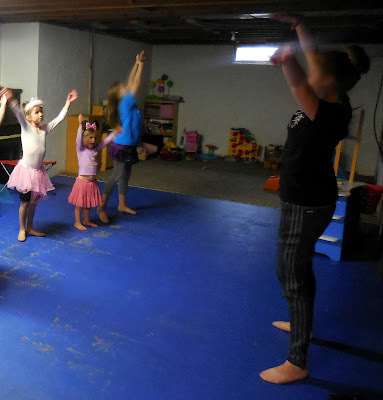 A family friend and frequent babysitter is actually a ballet teacher at a local dance studio. She came and taught the girls a dance she choreographed to Let It Go. They practiced in the basement and then moved upstairs for a performance. Some of the girls were pretty silly but L loved the whole thing and was really serious about doing a good, graceful job while still having fun. 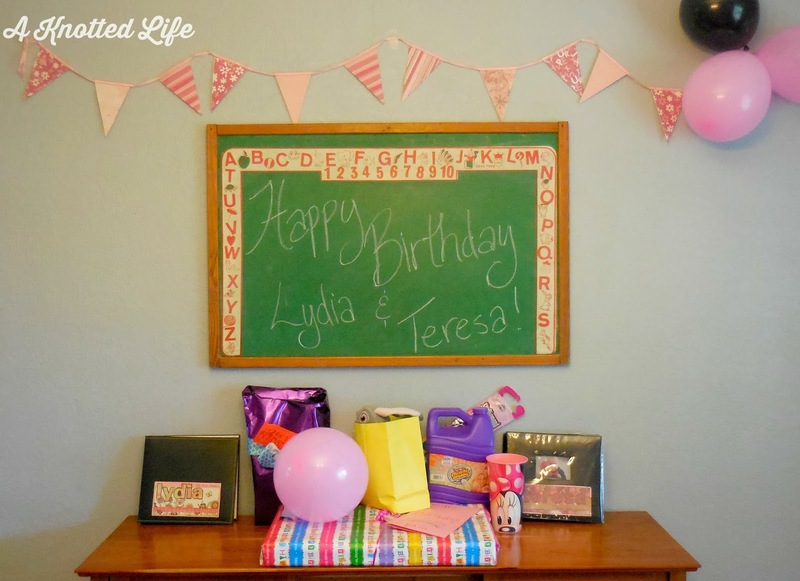 Cake was eaten, gifts were opened, and fun was had by all. 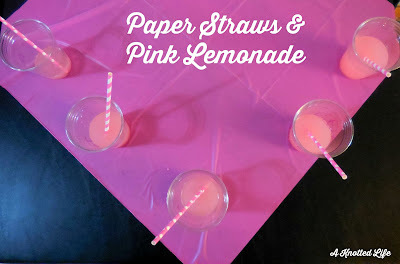 Super simple, super fun, and just what the girls wanted. Win, win, win! So cute!! 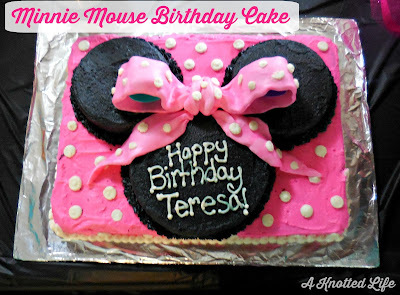 We are doing Minnie Mouse bday for Penny this year--pink themed so I love all your pics and ideas!